I actually cannot believe we have reached the month of October. Trying to think through what I want to do with the kids this year, what I want to focus on this term, and what activities I want to delegate to external sources, it feels, has taken the whole of September – this time round. Y did quite a bit of maths, especially for the latter part of last year as well as quite of comprehension and workbook style English work. So I thought I would cool down this academic year (Year 6) on the development of his maths skills and would focus on developing his writing and nurturing the creative element of it. He is trying out a group English and History class (alongside the class I run with a group of his friends weekly for a while now). Z being in Year 4 now, just needs to continue developing his skills as he steadily is in English and maths. He is using the Galore Park English book for Year 4 and the Inspire Maths books for Year 4. They are working well for his core English and maths. He is starting again a group work session with some other boys his age, which culminates in a presentation – a great way for him to work with other boys and get some play in too. We are starting up a Microbes project (will post with more details about this soon) and doing our reading here and there. This morning was on the Silk Road! Speaking of reading, I had a rethink about it all this term. Previously, the set reading time they had was before bed. But I realised that sometimes this wasn’t always enough, especially if they went to bed late – and it wasn’t always the best time to think about what you are reading! So in addition to bedtime reading I put in place half an hour in the afternoon where we pull out cups of redbush tea, our books and we all read for a bit (yes – glorious!). But afterwards they need to fill in a journal. This is part of this time. A fellow home edder Shoohooda Khanom has actually created a perfect Reading Journal that you can purchase online, however I use an exercise book that I have customised. Everyday, before reading time, I jot down two questions that they must answer. Sometimes I have a quick flick through to see what they will cover that day or other times I just put down questions which get them to think about the setting/characters/summarise that part of the book/contemplate a particular theme. It’s never more than two questions otherwise there is endless moaning! With all the extra maths last year that has taken Y beyond the primary curriculum, I always intended to spend some time this year, his final year of primary, focussing on Arabic. I haven’t thought ahead about when/whether he will do the Arabic GCSE, however I wanted him to relatively intensively master the Quranic Arabic enough to be able to understand Quran even if basically, by the end of this year. I myself benefitted a lot from the Bayyinah TV programme and decided that I felt he should be ready for this too – the Arabic with Husna. It’s easy to access, can be done in one’s own time and in short, sizeable chunks. We are only 3 lessons in, but alhumdulilah going well so far! Y has started Parkour sessions with a group of older home ed boys, he loves the company and both the boys are doing an excellent athletics course in a fully fledged athletics centre. Brazilian Jujitsu is a strong and regular part of their week, and has to be one of the things that I have to say, has had the most positive impact on them. It is run by a qualified coach who is a very good role model mashAllah, and it is a brilliant way to channel all that boy energy! They love it. One of the best parts of our week, has to be our Saturday evening visits to Chapters Coffee corner. Not just because we get to sit in this trendy, vintage café on our weekends, but because we get to sit together as a family and become immersed in the story of the Prophet SAW. The kids all become very involved in this interactive session and every week pick up much – not just about the Prophet SAW’s life, but real development of their minds and their characters. We have just made a huge adjustment to my daughters hifth and homeschooling program. We now implement a fulltime hifth program at home and attends a 1 1/2 class with a hifth teacher twice a week . This is one on one while as before she attended class 4 times a week but would leave home at 6am only to return at 3pm. We are trying out a new program but there just seems to be too few hours in each day. 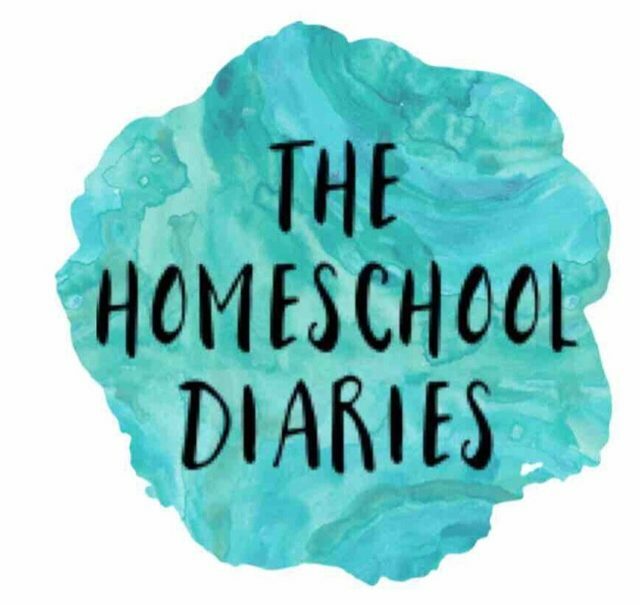 Welcome to the Homeschool Diaries. This is a place where you will find reflections, musings and maybe some rants... on my homeschool journey with my baby-loving, aspiring baker; ancient civilisation and arachnid fan and my youngest - who was born asking questions.